Seems like Cabernet Franc as a single varietal, rather than just a Bordeaux blending grape, is finally getting its due. Born in Bordeaux and being the parent grape to Cabernet Sauvignon, this understated grape is typically used as an accent blending grape with other Bordeaux varietals, such as Merlot and Cabernet Sauvignon. However, Cabernet Franc certainly does not get the recognition it may deserve. For example, this wonderful varietal is the principle force behind Cheval Blanc, the most impressive and expensive wine in all St. Emillion. While Cabernet Sauvignon has the notoriety of displaying big and bold structure with lingering tannin, Cabernet Franc prefers to showcase its elegance and subtleness often with a characteristic herbaceous edge. It buds and ripens earlier than Cabernet Sauvignon, this trait allows the vine to thrive in slightly cooler climates. Though it also makes it susceptible to spring frost if not planted on the right site. Jancis Robinson summarizes this varietal well describing it as, “the feminine side of Cabernet Sauvignon. 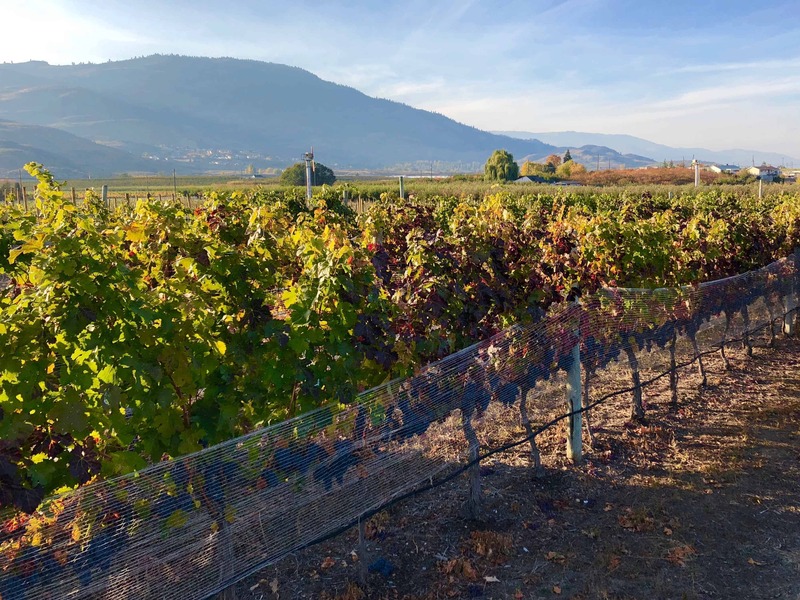 It is subtly fragrant and gently flirtatious rather than massively muscular and tough in youth.” Some have suggested that this could be the signature red grape for the Okanagan Valley. A Bordeaux red that is at home with the cold, is certainly fitting for our Canadian terroir. Its fabulously versatile as both a great blending grape that shores up the mid-palate and give structure and cohesion to a wine, or as a standout standalone varietal. Several Canadian wine critics have recently written extensively on this noble grape. Anthony Gismondi with the Vancouver Sun, notes "Outside of the many fine Touraine examples in the Loire Valley, the rise of varietal wine in the New World has given Cabernet Franc a stand-alone presence in the market place that until very recently was only of interest to wine geeks. But change is on the way. In B.C., we now have an impressive 221 hectares planted to Cabernet Franc, and those numbers are sure to rise..."
Similarly, Beppi Crosariol, with the Globe and Mail notes, "Although cabernet franc has historically been grown in France's Loire Valley, other winemaking regions, such as B.C. 's Okanagan Valley, are taking up the trend." 92 points - John Schreiner, "This vibrant wine begins with the classic brambly, raspberry and cherry aromas of the varietal. On the palate, there are flavours of spice and dark fruits. The finish is persistent..."
91 points - Beppi Crosariol, Globe & Mail, "Full bodied, but light on its feet. For comparison’s sake, it’s like a fleshier, substantial Loire red from a good year..."
91 points - Natalie Maclean, nataliemaclean.com, "A savoury, juicy BC red wine. Smoky, dark and delicious with black fruit..."
91 points - Tim Pawsey, hiredbelly.com & Quench Magazine, "Forward black fruit and mocha notes before a plush palate, with spicy undertones and well balanced tannins through the rounded end..."
90 points - Anthony Gismondi, Vancouver Sun, "This Cabernet Franc soars out of the glass with fragrant black fruit laced with dusty, savoury Okanagan spicing..."
90 points - Rick VanSickle, " The nose reveals lovely black cherry, raspberry bramble, integrated herbs, spice and minty accents. Delivered on a structured frame with silky tannins and depth through the finish..."